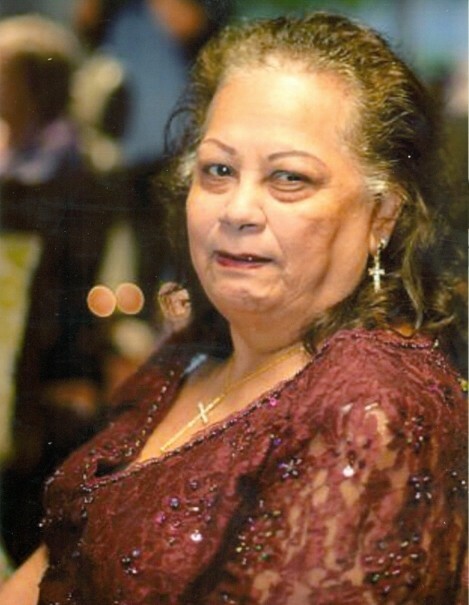 Micaela Cruz Lopez, 79, of Bryan passed away Thursday, March 28, 2019 surrounded by her family who love her deeply. Funeral Services are set for 11AM Monday, April 1 in St. Joseph Catholic Church with burial to follow in the Mt. Calvary Catholic Cemetery. Visitation will be from 5-8PM Sunday, March 31 with a 6PM Rosary in the Chapel of Trevino-Smith Funeral Home. Born August 10, 1939 in Bremond, TX she was the daughter of Alex Sr. and Maria (Cuevas) Cruz. Micaela loved to dance, play Bingo and Loteria. She was a loving mother, grandmother, aunt, and friend and will be missed by all who knew her. She is preceded in death by her parents; husband Gilbert Lopez; a son Ruben Ybarra; a daughter, Michelle Vela; a sister Virginia Vallejo; and two brothers, Joe Cruz and Alex Cruz Jr.
Micaela leaves behind to cherish her memories; a son, Robert Ybarra; four daughters, Sylvia and Terry Ryan, Rose Mary and Mario Lopez, Margaret and Canuto Ayala, and Linda and Juan Martinez; honorary daughter, Leslie Wolf; Twenty-three grandchildren; numerous great-grandchildren; three great-great-grandchildren, and numerous nephews, nieces, and cousins.